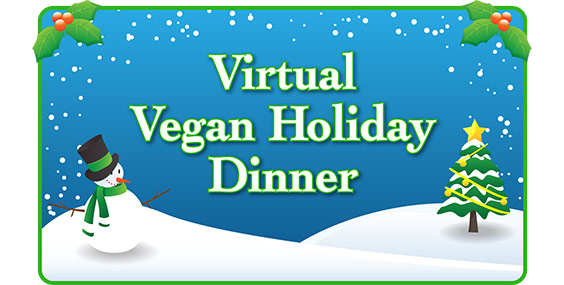 Virtual Vegan Dinner Party: I'll Bring the Pumpkin Pie! When I heard about this festive potluck-style vegan dinner party with some of my fave vegan bloggers, I said..
"I'll bring the pumpkin pie!" Virtual Feast. You are invited to ogle this online feast - and you don't even have to get all primped and pampered. Stay cozy in your slippers and take in some vegan eye candy to inspire your own holiday meal preparations. Step inside the Virtual Vegan Dinner Party..
Culinary Inspiration. Online. Ah, the power of the internet... I can't even remember what it was like to not have a computer. To not have my food blogger friends. And to not be inspired by something yummy to cook each and every time I open my MacBook. PI, Pre-Internet. Back then, shared family recipes were written in ink. Or carefully typed on fancy typewriters. Several copies were made in case you spilled flour and cooking oil all over those rigid cream-colored cooking index cards. In our house, the best recipes always ended up speckled in remnant ingredients making it impossible to decode the gibberish text. "Mom, does that say 1/2 cup or 12 cups?? Or 1 1/2 caps?!" And without the internet, the only exposure I had to food outside of my own family kitchen was when I'd eat over at a friend's house, wander through a farmer's market, dine out at a restaurant, flip through a food magazine or cookbook. I loved those food magazines. I'd flip through the pages, tearing out images and recipes that caught my eye. Today, we bookmark. Food was so local back then. But now, it is truly virtual. Wider view. More to inspire. That is why I am so excited about this vegan virtual feast. Thanks to the wonderful Marly of Namely Marly for organizing. We all signed up "to bring" certain dishes. 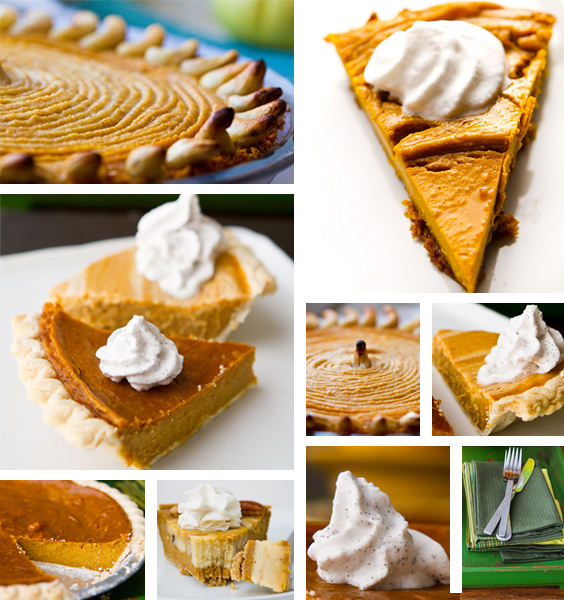 Get my pumpkin pie recipes and check out what the other participating bloggers brought to this virtual feast!.. Now onto the entire vegan holiday feast! Featuring recipes from some of my favorite bloggers..